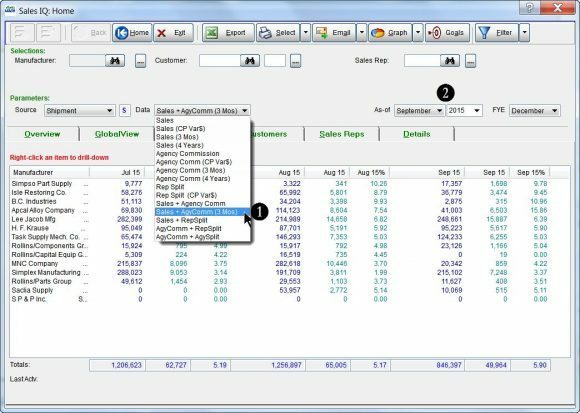 This tip will demonstrate a quick way to view and compare your individual monthly sales and agency commission numbers for 3 consecutive months by using the dynaMACS Sales IQ feature. In the following example we will show the last three months of sales and agency commission data for all manufacturers as of September 2015. With the Manufacturers tab selected in the Sales IQ screen, select Sales + AgyComm (3 Mos) from the Data drop down list. 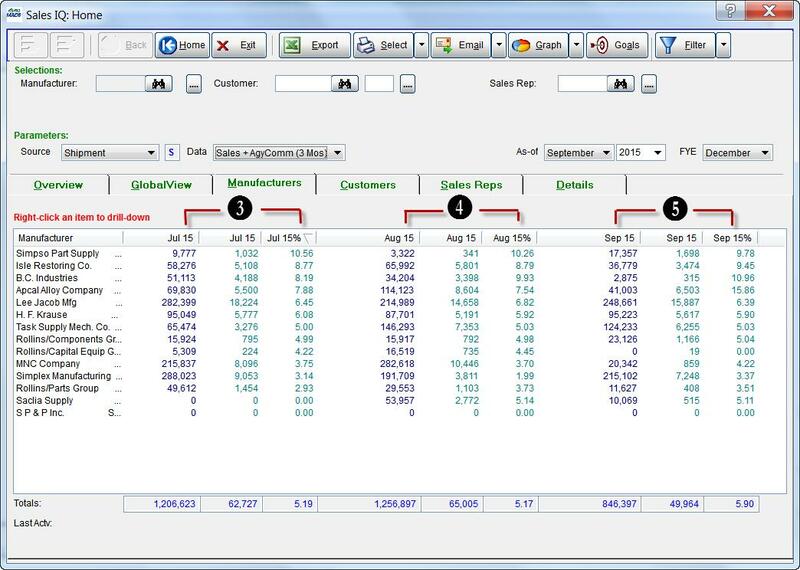 Select September 2015 in the As-of drop down list. The first three columns display sales and commission data for July 2015. The second three columns display sales and commission data for August 2015. The third three columns display sales and commission data for September 2015. Case Study: The Henson Sales Group, Ltd. Case Study: Cutler Industrial Sales, Inc.